We welcome our duties under the Equality Act 2010 to publish information that demonstrates that we have due regard to the need to eliminate discrimination, advance equality of opportunity and foster good relations in relation to age (as appropriate), disability, ethnicity, gender (including issues of transgender, and of maternity and pregnancy), religion and belief and sexual identity. St Francis of Assisi Catholic School is an inclusive school. We value every member of the community within a caring and supportive environment and is deeply committed to the principles of equality. We promote positive and respectful relationships and encourage everyone to actively contribute to ensuring equality of opportunity in all aspects of school life, by the daily living out of Gospel values. Through our policies and practices we strive to eliminate all forms of discrimination that may prevent pupils or staff form achieving their full potential. We believe that the Equality Act provides a framework to support our strong commitment to valuing diversity, tackling discrimination, promoting equality and fostering good relationships between people. It also ensures that we continue to tackle issues of disadvantage and underachievement of different groups. The information provided here aims to demonstrate that we give careful consideration to equality issues in everything that we do at St Francis. ‘Due regard’ ensures that we work towards eliminating discrimination, harassment and victimisation and other conduct that is prohibited by the Equality Act. At St Francis, we are committed to ensuring equality of education and opportunity for all pupils, staff, parents and carers, irrespective of race, gender, disability, belief, religion or socio-economic background. 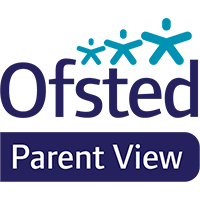 Objective 1: To monitor and analyse pupil achievement by ethnicity, gender and disability and act on any trends or patterns in the data that require additional support for pupils. Objective 2: To continue to narrow the gaps in achievement for vulnerable learners, particularly progress in Writing.